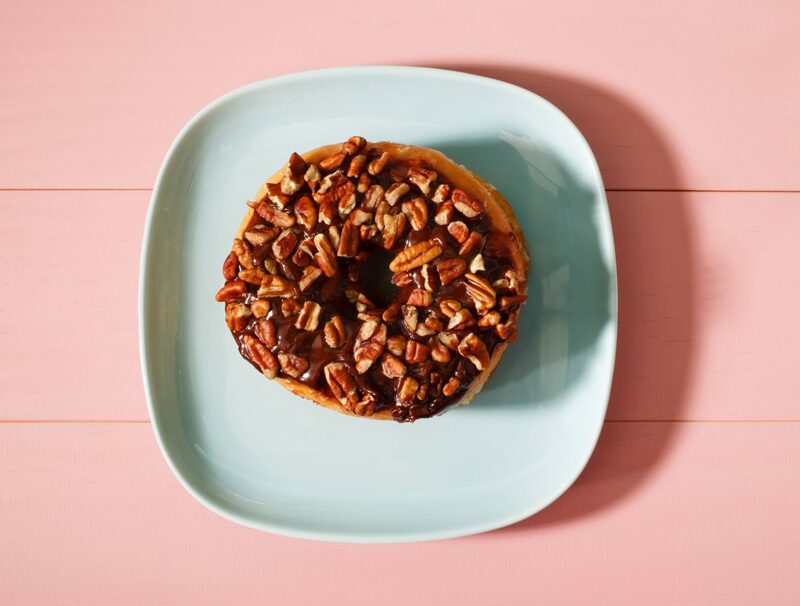 Today we’re celebrating one of our favorite nuts – pecans! Not only are they delicious, but pecans are packed with nutrients that provide some pretty amazing health benefits including neurological protection, heart health and disease protection to name a few. As an added bonus, pecans also happen to be delicious and a great addition to many of our favorite meals. Below we’ve included some of our favorite ways to incorporate pecans into our favorite dishes! One of our favorite ways to incorporate pecans into our meals is by tossing them into a salad. 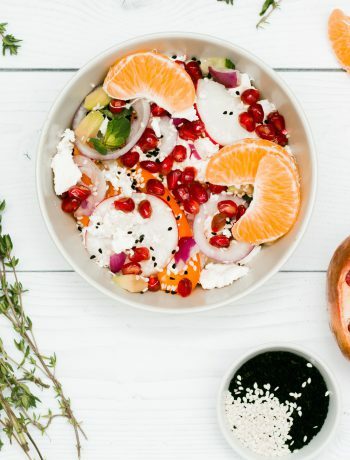 They make for a great topping that adds some much-needed crunch to an everyday salad. 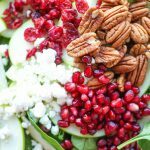 The above recipe suggests adding pecans to a salad with spinach, granny smith apple slices, pomegranate seeds, dried cranberries and crumbled goat cheese. We suggest toasting your pecans first before tossing them into the salad to make them nice and crunchy. Easily toast pecans by microwaving them in your Microwave Drawer TM! Microwave at one-minute intervals for about eight minutes Once pecans are toasted, toss them into the prepared salad and drizzle with lemon vinaigrette. 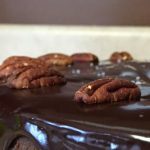 Pecans are so easy to incorporate to all of our favorite desserts, and making a chocolate pecan glaze has to be one of our favorite ways. This glaze is originally meant to be topped on an Old Southern Sheet cake but we also love it placed on top of plain doughnuts or some chocolate chip cookies! Melt butter in your Black Stainless Steel Microwave Drawer and combine with confectioners sugar, cocoa powder, milk, vanilla extract and chopped pecans stirring over a medium to low heat. Remove from heat and pour over any favorite dessert that’s in need of a little icing! When people think pecans often one of the first things that comes to mind is pecan pie. We can’t say we blame them – pecan pie is one of the tastiest desserts out there and always manages to please a crowd. 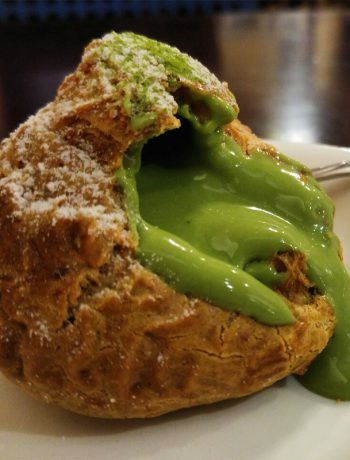 Sometimes though, we want just a little taste and not an entire pie. 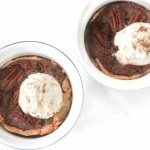 That’s why we love the above recipe that provides all the deliciousness of a pecan pie in a personalized portion that can be made easily in your Microwave Drawer™! Start by pressing either handmade or pre-made dough into a microwave safe mug. Then in a mixing bowl combine melted butter and brown sugar then whisk in eggs, corn syrup, vanilla and salt. Place pecans into mugs and pour syrup overtop. Microwave for one to two minutes or until fully cooked. 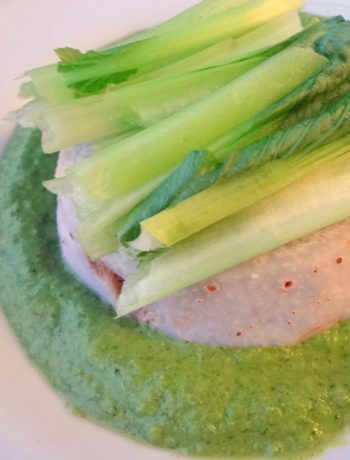 Serve with a scoop of vanilla ice cream! For National Pecan Day, pecans are the star of the show and we can’t wait to celebrate by trying some of these tasty recipes! Do you have a favorite pecan recipe not included above? Let us know in the comments below!